HERITAGE HIGHLIGHTS: The only art deco building in London still used for its original purpose. This grand structure in art deco style, covering over 2 acres, was built between 1927 and 1933 by HV Ashley and F. Winton Newman to act as the British headquarters of United Grand Lodge of England (the Masons). It was originally called the Masonic Peace Memorial, in honour of Masons who perished in WWI. The name was changed to Freemason's Hall when the Second World War broke out. Freemason's Hall is the third mason's hall on the site. The first was built in 1775 in the area now occupied by the Connaught Rooms. It served as a combination tavern, meeting rooms, and theatre for the performing arts. 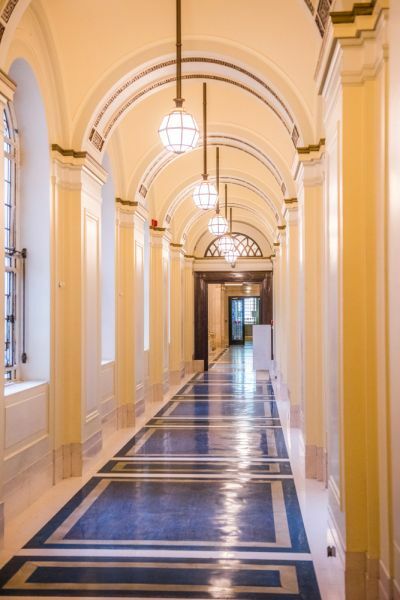 The Hall was built by Thomas Sandby, RA, who won an architect's competition. From the start the new Hall was not limited to Freemasonry, but acted as a venue for balls, concerts, and literary events. In 1814 Sir John Soane took over as Grand Superintendent of Works, looking after the structure of the building. Soane remodelled the Hall in the 1820s, adding a meeting room and a kitchen. From 1862 Sandby's original Hall was rebuilt and extended by Frederick Pepys Cockerell. This second Freemason's Hall eventually became unsafe due to fire damage in 1883, and much of it was pulled down to make way for the current building. Within Freemason's Hall is Memorial Shrine, a memorial to the 3225 masons who perished in WWI. Central to this memorial is a gilt casket designed by Walter Gilbert, who also design the Victoria Memorial outside Buckingham Palace. 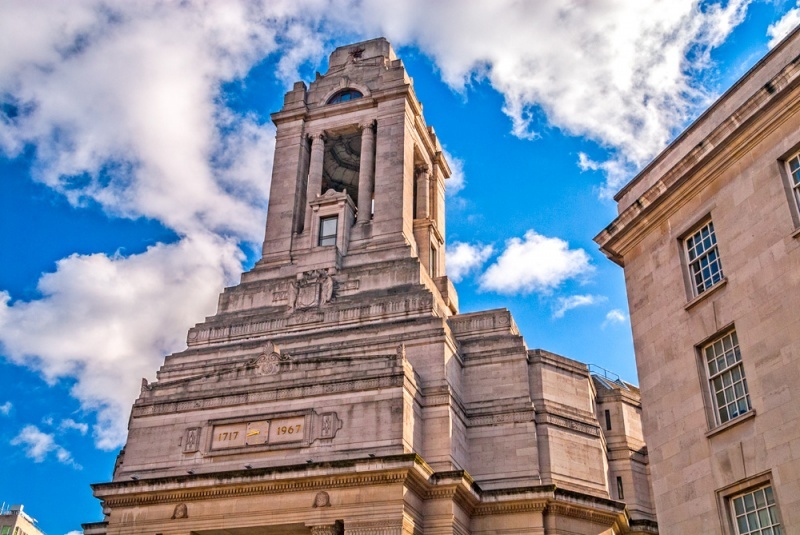 The Freemasons' Hall was dedicated on 19 July 1933 by HRH The Duke of Connaught, KG, acting as Grand Master. The Hall has appeared in numerous films and television series, including Spooks, Sherlock Holmes (the 2009 film), Johnny English, and regular appearances in the long-running TV series Agatha Christie's Poirot. 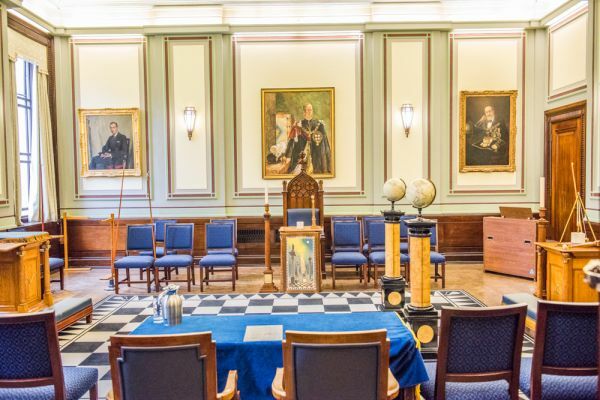 Within the Hall are 24 temples; chambers used by various Masonic lodges and chapters as meeting rooms. Every temple is unique, and all are richly decorated in Art Deco style. At the core of the building is the Grand Temple, approached through massive bronze doors weighing over 1 ton each. The Temple chamber seats 1700 people and is often used for concerts and performances as well as a meeting place for Masonic lodges in the Greater London region. Many parts of the Hall are closed to the public except for regular guided tours. However there are two areas that are regularly open and free of charge. These are the Library and the Museum of Freemasonry. Open to the public as a reference library, though users do need to register first. The library holds a huge collection of printed books and manuscripts on Freemasonry in England and around the world. Collections are not strictly limited to Freemasonry but include related subjects like esoteric traditions and mystical studies. There are also a large number of books and periodicals on related societies like the Oddfellows and Foresters. The library also offers a genealogical research service. 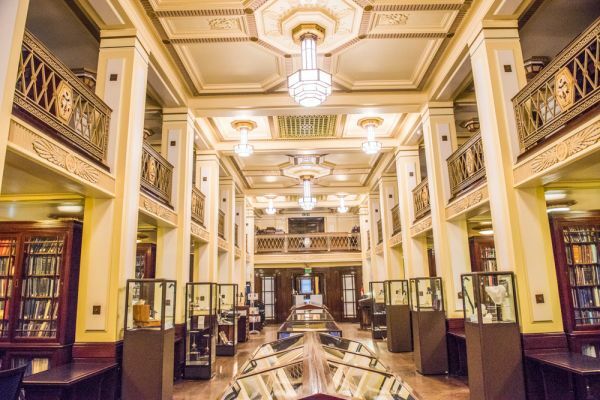 This fascinating collection of memorabilia is on the first floor of the hall, and its display area extends into the library. 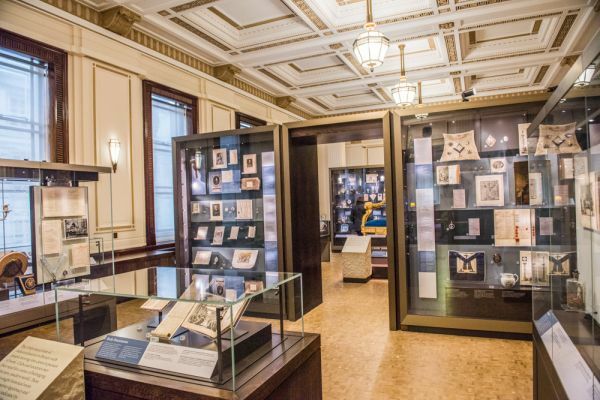 The museum tells the story of Freemasonry and related societies from its beginnings, including its mystical associations with the Solomon's Temple in Jerusalem. There are huge numbers of old manuscripts and memorabilia including glassware, ceramics, pottery, furniture, portraits, regalia, and silver. Many of the items on display are connected to famous Masons, such as Sir Winston Churchill and King Edward VII. For example, you can see the apron worn by Churchill. 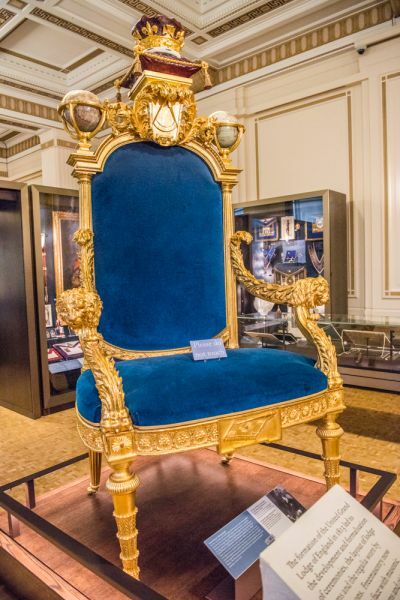 At the centre of the museum is a huge, gilded chair, looking suitably like a throne, made for the Prince Regent, later King George IV. Also on display is the Articles of Union (1813), one of the most important documents in the history of Freemasonry, whereby the Antient Grand Lodge and the Moderns Grand Lodge merged to create the United Grand Lodge of England. Beside it is the oldest document in the museum; Grand Lodge No. 1 Ms, a parchment manuscript dated 1583. There is a fascinating display on the history of Masonic hospitals in WWI, and the role of nurses. One peculiar object is sure to catch your eye; the 'Masonic Desk' is a late 19th century desk of satin birch, that opens out to reveal a model of the Biblical Tabernacle in the Desert. The interior is filled with a mysterious collection of numbers which can be arranged in numerous sequences. No one knows what the numbers signify; the numbers do not appear to have any traditional Masonic significance, so their meaning is a mystery. We quite enjoyed our visit to Freemasons' Hall. 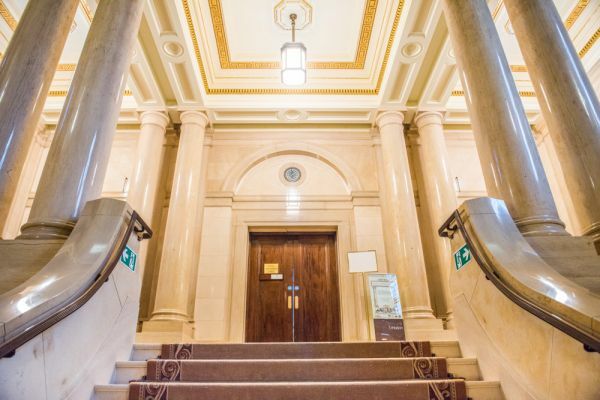 The Art Deco interiors are stunning, particularly the ornate central staircase leading up to the museum on the first floor. 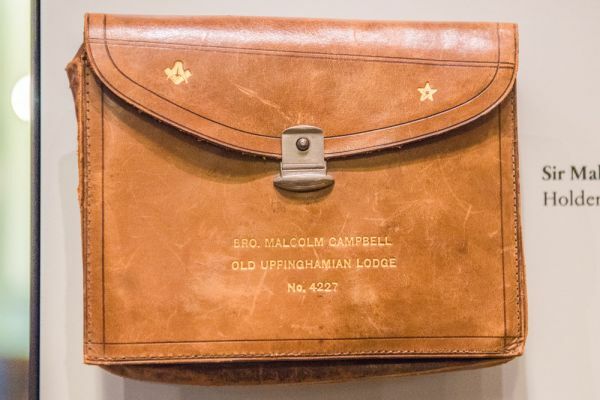 The museum itself is eye-opening, with so much material on the history and practice of Freemasonry, and items linked to famous Masons like Churchill and the Prince Regent. Location: Nearest underground station is Holborn.